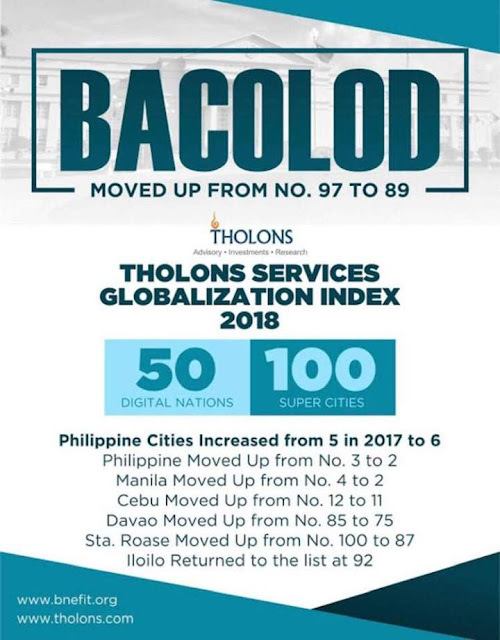 Bacolod City has regained its momentum in the Tholons Services Globalization Index (TSGI) this year. It is now placed at No. 89 of the Tholons Top 100. Tholons International is the leader in ranking global outsourcing locations first included Bacolod City as No. 100 in 2010 ad with this Bacolod made its first mark in the rankings. From there the city placed 94th by 2013 and No. 85 in 2015. In 2016, Bacolod was ranked still ranked No. 85 but slid to 97th last year 2017. The slide in ranking for 2017 was due to new criteria such as digital and innovation. This was according to Jocelle Batapa-Sigue, executive director of Bacolod-Negros Occidental Federation for Information and Communications Technology (BNEFIT). 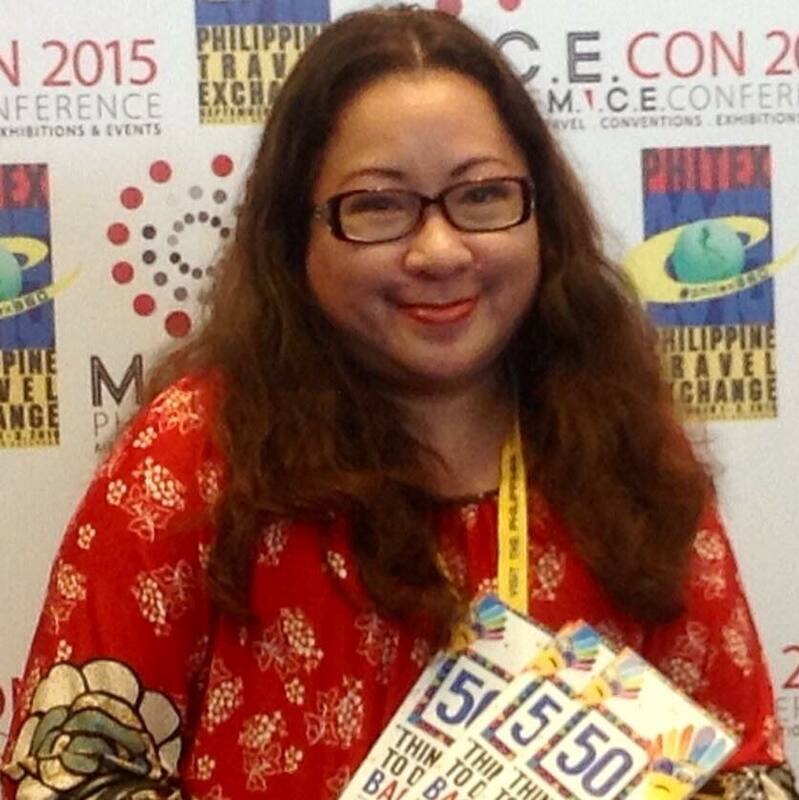 “This is a result of our strong government-academe and industry collaboration, constant engagement with schools and talent development stakeholders, and grit and determination to continuously challenge and redesign our own strategies to adapt to the requirements of global digital services,” the executive director of BNEFIT also added. For a mid-size city, Bacolod was able to be included in the Tholons Top 100 Super Cities and it is the result of the synergies provided by the community, local government agencies, private businesses, and the academe. “I am so proud of the efforts of all the members of BNEFIT. It is our 10th year this year and we are truly grateful to our public and private sector partners including the city and provincial governments, schools and companies and most especially our tech-startup communities,” Batapa-Sigue stated. This year, other Philippine cities were included in the Top 100. Manila ranked 2nd, Cebu at No. 11, Davao City is 75th, Sta. Rosa, Laguna is at 87th place and Iloilo ranked 92. With regards to the Top 50 Digital Nations, the Philippines is ranked No. 2 from its rank of No. 4 last year.